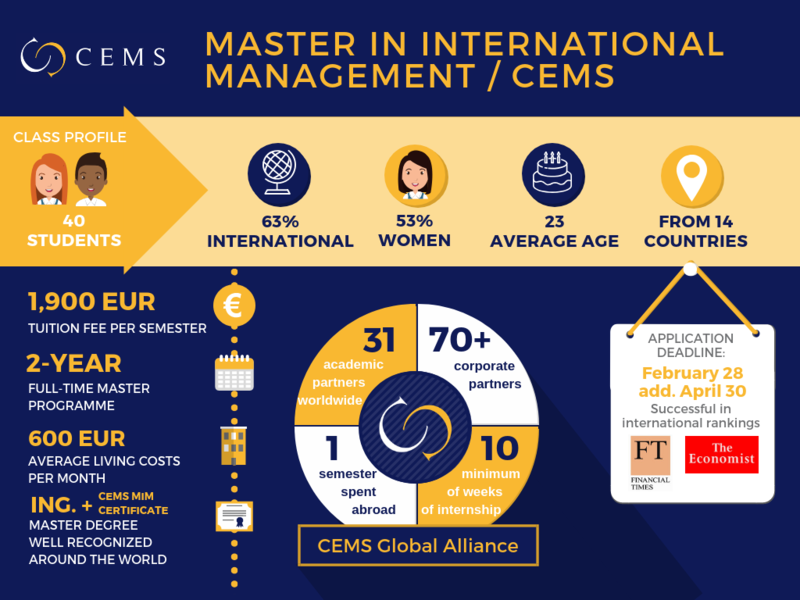 The application deadline for the Master in International Management/CEMS programme (2nd intake) is on April 30, 2019. You can find all the requirements necessary for completing your application down below or here. If you need help with submitting your e-application, see the guide here. What is the Master in International Management about?